Apple has been shifting its focus to a car OS rather than a full-blown self-driving car. Here's an interesting description of the discussions and the shake-up that took place during the shift. A few years ago the company’s machine learning group numbered just a few and needed days to run an experiment. Now several hundred employees run thousands of experiments a day. AI is woven so intricately into the platform that it would be impossible to separate the products — your feed, your chat, your kid’s finsta — from the algorithms. Watson has been a great technical and marketing success for IBM. But things seem to have run amok. Here's why. 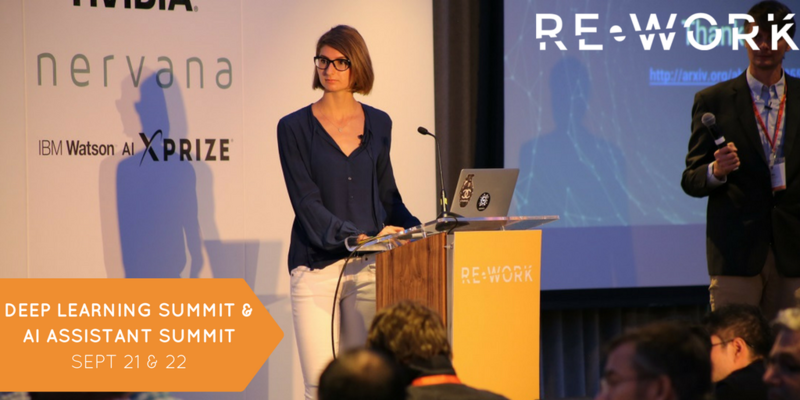 RE•WORK are offering a 20% discount on passes for the Deep Learning Summit & AI Assistant Summit with the code AIWEEKLY. Experts will share their advancements in AI and confirmed speakers include Fabrizio Silvestri, Facebook; Ankur Handa, OpenAI; Andreas Damianou, Amazon; Marta Gernelo, DeepMind & more. SVM, though introduced 50 years ago, are still widely used. Here is an introduction to SVMs along with useful libraries and resources. Paper by Apple researchers on their work to make Siri's voice more natural and smooth. They use a hybrid approach, mixing unit selection (concatenation of pre-recorded phonemes) and parametric synthesis. Drop-in replacement for the well-known MNIST digit dataset.